Obsessive-Compulsive Disorder (OCD) is a mental health disorder in which a cycle of obsessive thoughts and compulsions can cause significant emotional pain and impairment in a person’s ability to function. Obsessions come in the form of unwanted and distressing intrusive thoughts, images or urges. They are often accompanied by uncomfortable or intense feelings of fear, anxiety, doubt, disgust and/or worry. The obsessions occur over and over again and feel outside of one’s control. The variety of obsessions is limitless. They can focus on the external world (being contaminated by germs or causing hit-and-run accidents, or the internal world (experiencing blasphemous thoughts). Most obsessions have consequences that people are afraid of. Someone can have many different obsessions and be fearful of many feared outcomes. Some feared consequences are fear of harm to oneself or others and fear of what a thought or action might mean. Compulsions, which can also be referred to as rituals, are the repetitive behaviours or thoughts that an individual uses to neutralize their obsessions and accompanying distress. Most people recognize that their obsessions don’t make sense, nevertheless, they are driven to engage in these time consuming compulsive behaviours to temporarily lower their anxiety or reduce their obsessions. The range of OCD fears and rituals is limitless. Like obsessions, compulsions can take up a considerable amount of time and get in the way of life. Although compulsions seem to be helpful in the short term the obsessions typically return as strong as ever reinforcing the cycle. The forms that compulsions can take are limitless. The goal of the compulsion is to neutralize the consequences of the obsessions. 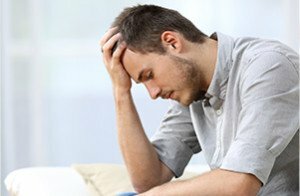 Treatment often involves Exposure Response Prevention (ERP), a type of CBT, and/or a type of medication called serotonin reuptake inhibitors (SRIs) as well as cognitive therapy techniques. Using Exposure Response Prevention clients learn to tolerate their anxiety without performing rituals. The individual can work together with a therapist at a comfortable pace to confront their thoughts and situations that are the focus of their obsessions which trigger discomfort. The individual refrains from engaging in compulsions at their own pace and ultimately breaks the obsessive-compulsive disorder cycle by refraining from the compulsions and tolerating uncertainty. With exposure to the feared thought, clients habituate to the anxiety-provoking situations and find that their anxiety levels diminish. Studies demonstrate that clients with Obsessive-Compulsive Disorder who finish their Exposure Response Prevention treatment show considerable progress and can sustain their gains long term. There is also some new research showing that Acceptance and Commitment Therapy can also be useful for OCD.